Dust explosions are a very common phenomena in a vast array of industries such as those processing food, paper and pharmaceuticals. More often than not, dust explosions are very costly and extremely dangerous to personnel. 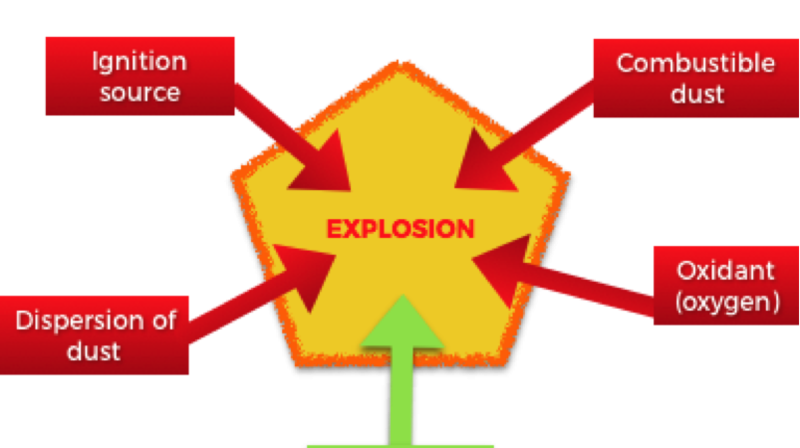 It is vital that all personnel working in or around potentially hazardous areas are aware of dust explosion safety, development and migration, but it is mainly the responsibility of the works management to have practical and theoretical knowledge on the issue. 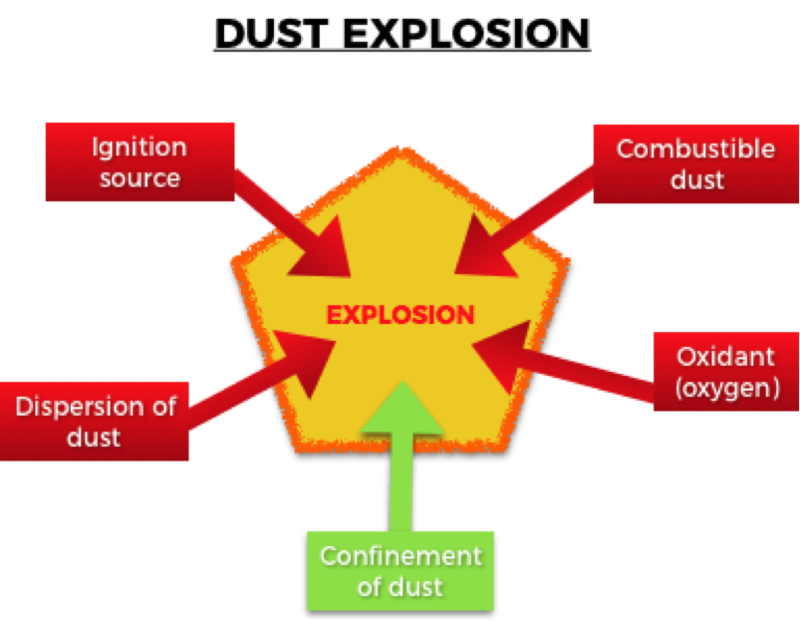 “A dust explosion is the rapid combustion of fine particles suspended in the air, often but not always enclosed in an enclosed location. Dust explosions can occur where any dispersed powdered combustible material is present in high enough concentrations in the atmosphere or other oxidising gaseous medium such as oxygen.” – wikipedia. Dust explosions can be so spectacular that even pyrotechnic specialists have been known to use them in theatrical productions and by special effects technicians. This is because of their appearance and that they are easy to create, and safely controlled if the right method is used. Grain silos and flour mills will have a lot of dust present as a result of milling substances. In the past grain silos have been violently demolished by a dust explosion. With certified dust explosion protection equipment, these explosions can be controlled in a safe way so as to avoid injury to personnel and damage to equipment, and also can be prevented entirely with good housekeeping. Contact us to discuss dust explosions and find out how we can help ensure the safety of your employees and equipment on site. Dust clouds are the cause of 2,000 explosions worldwide annually. One of the most recent and notable dust explosions was the Bosley Wood Flour Mill explosion on July 17th 2015, in Cheshire, UK. The source material of this explosion was wood flour and there were 4 fatalities.